Several lively and encouraging photos were sent in by our buyer and distributor in the country of Brunei. A dynamic young couple in their early thirties, Ms. Mei Sin and her husband Simon Chin opened a beauty salon some time ago. Recently, she renovated it into a Paul Penders beauty salon. With her team, they put real effort into the design and display there. Simon Chin, Mei Sin’s husband, runs a business importing and supplying spare parts and mechanical devices to the Shell corporation. They are based in Kuala Beilat, Brunei’s second largest city. They had their second baby just a couple months ago. On returning to her beauty salon after her maternity break, Mei Sin decided to turn it into a Paul Penders specialty salon. With the help of her husband and team, this entrepreneurial young woman is well on her way to success. Brunei salon owner Mei Sin is on the right in the green jacket. We are always curious to know more about our distributors and their interests. It is always a benefit to hear from professionals in the field. 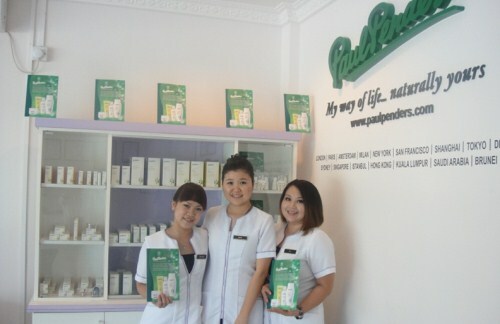 We asked Mei Sin about her preferences and why she chose Paul Penders products for her salon. “I like the skin toner coz its got firming effects. A.M & P.M Moisturizers are my favourites coz they feel smooth, supple, refreshing after use. The more important thing is they do not feel sticky or oily after being applied. For the exfoliant, I’m applying it after the toner and before the moisturizer, the results come out good. It cleans and gives my skin more radiance and glow as well. The body firming cellulite serum is non-sticky after application; it feels smooth and helps me to firm up my flabby arms. It’s very simple why I like the lip gloss — coz it’s rich in moisture! When asked who would take care of the salon with the demands of a new baby, Mei Sin smiled happily and said that her mother-in-law would be helping out so she can take care of the newborn and get a little rest. We wish them good luck and continued success. Where does stress build up in your body? Most people will say they feel tension in their shoulders or their abdomen tightening up. Some of us get headaches when times get tough. And recently I’ve had the strangest sensation of my scalp getting tight. I have a friend from Taiwan who noticed one day that I was starting to frown as a headache started to trouble me. She asked if she could help and had me sit down comfortably in a chair and close my eyes. She placed her fingers on either side of my skull and squeezed. And then I experienced one of the most intense pains of my life — and then, in seconds, it was gone! I felt better than I had in days. You can go to an expensive hair salon, spa or resort and indulge in a scalp massage. Or you can travel to India where scalp massage is a centuries-old tradition. It is customary for mothers in India to massage their children’s heads. Or you can DIY. Scalp massage takes many forms from gentle soothing strokes with fingertips or fingernails to deep tissue and oil massages. One favorite technique of mine is to grab fistfuls of hair and gently pull for a few seconds – quick relief after several hours on the computer. Another is to spread your fingers on either side of your head and squeeze for a few seconds, then release. Then move your hands to the front and back and squeeze. Try also pressing on any sore or tense spots and make circles. Getting additional blood to your scalp can benefit your hair. Like other cells throughout your body, the follicles that hold the hair to the head can get starved when tensions contract muscles and blood flow. Massage can improve circulation and increase oxygen in the cells. Beautiful hair starts with a healthy scalp. When I felt a headache coming on tonight, I happened to be looking through the Paul Penders assortment of hair products trying to figure out what to tell you about them. Two products target cleansing and conditioning your scalp and hair. Pegaga Scalp Cleansing Treatment naturally treats irritated and flaking scalps and features Australian Tea-tree oil and the tropical herb Pegaga, known in Malaysia as the “Miracle Hero of the Rainforest.” Both possess remarkable antiseptic and anti-bacterial qualities to deep-cleanse and revitalize the scalp while helping control itching and flaking. I grabbed the box marked Holy Basil Conditioning Scalp Toner. Holy Basil is a spicy, aromatic herb used as a stimulant used to treat headaches. Its anti-bacterial properties cleanse and tone scalp in hair care products and can improve scalp problems by stimulating circulation and balancing sebum production. 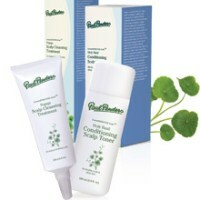 Applying this conditioning skin toner can calm scalp irritations and even help prevent dandruff. And I’m here to tell you that it makes a great scalp massage lotion. The clear liquid smells nice and feels cool on my scalp. And I’m delighted to say that after applying it and doing a little squeeze-and-release massage, my headache is gone! Paul Penders can proudly claim to be among the very first manufacturers in the world to stand up to a government and refuse to allow his products to be tested on animals. Maybe even the very first. Paul himself has been a leading champion in the cosmetics industry for animal rights and an end to the cruel practices of animal testing. For some 30 years,“No Animal Testing” has been a guiding principle of his company, one that has helped to build its international reputation for excellence. In 1984, he began a battle with the authorities in the Netherlands that culminated with him moving his entire factory and his family out of the country of his birth. The government required tests of any personal care products at that time (fortunately Dutch laws have been changed). Naïve and innocent, as a young man he brought a sample of his shampoo to a lab for tests, actually thinking that the animals would be given a bath and if their fur was clean and shiny that would be that. Instead, he personally witnessed the force-feeding of products to rabbits – until he ran out to the bathroom to throw up his lunch. That day changed his life and every day since he has been deeply committed to the causes of animal protection. Recently a letter was received from “People for the Ethical Treatment of Animals,” known as “PETA.” In it, a representative wrote that the Paul Penders company is to be stripped from the list of companies that maintain cruelty-free practices. Their reason? 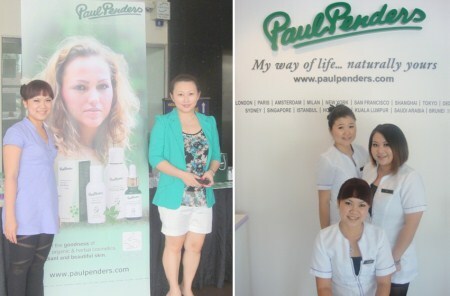 Paul Penders products are sold in the Peoples Republic of China (mainland China). This is the first in a series of articles to come on this blog looking at the many issues raised by this action on the part of PETA. The issues can be complex, certainly there are still animal tests and examples of animal cruelty going on in China and elsewhere throughout the world. Political, legal, and financial issues abound around the best ways to persuade a country’s government to enact laws protecting animals and ending animal tests. The cosmetics industry is challenged to provide safe formulas that may border on the medicinal or pharmaceutical. And importantly, the proper conduct of a not-for-profit, donor-supported animal rights organization comes into question. Let me say here that I am personally outraged by this action by a representative of PETA’s “Laboratory Investigations” arm. It is clearly harmful to this small company and profoundly disrespectful to Paul who has been one of the most outspoken leaders of this cause for some 30 years – long before PETA took up the banner. Further, I believe it insults Chinese culture and its governing officials. 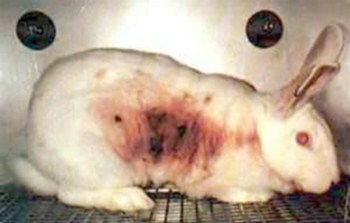 And it damages PETA’s reputation as it destroys the trust of its supporters in the cosmetics and personal care industries, and the general public. If PETA can take such actions based on unidentified “Chinese experts” advice – without proof and or valid investigation – then why should anyone believe them? “Innocent until proven guilty” is a fundamental principle of American justice. If PETA has proof that Paul Penders products have ever been tested on animals – in China or anywhere in the world – let them bring it forth. The burden of proof is on PETA. And you should know that even after registering 30 products in the People’s Republic of China, Paul Penders International has never been asked by Chinese authorities to submit products for animal testing. Stay tuned for more – and please feel free to write to us with your comments at info@paulpenders.com. “Down Under” in Australia and New Zealand, there is a big ‘Back to Nature’ healthy living movement going on – and Paul Penders natural herbal cosmetics is now a part of it! 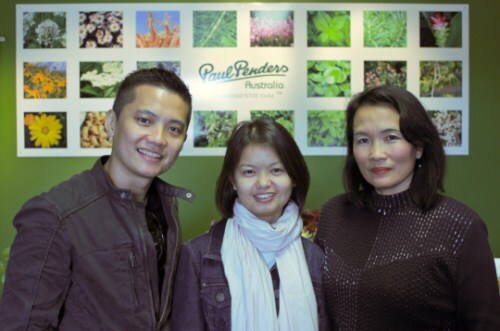 We heard from our friend Bee whose “Euro Ventures” company was appointed country importer and distributor for Paul Penders natural products for Australia and New Zealand in August 2009. Now she’s got a lively online store, a Facebook Page, and great plans for finding more in-country distributors and new ways to reach out to customers. “We stumbled upon Paul Penders natural products in the ‘Safe Shoppers’ Bible.’ Our mission is to only trade in natural skincare products that protect Australian waterways, land and skin from chemicals and pesticides. Paul Penders range of natural products believes in serving beauty needs with a conscience. Australia is vast and diverse. Paul Penders natural skincare, Bee tells us, is a brand which is virtually unknown so far. Competition is intense with many natural skincare companies created and owned by Australians. Moreover, with patriotism towards products that are made in Australia, it is challenging to enter the natural skincare market. Why are Bee and Euro Ventures still going forward with their journey? Finding places to distribute products in such a huge country can be difficult. She tells us she is committed to the product line and has some good marketing suggestions. ‘I love Australia, it’s a country which enjoys its outdoors and nature, a country which embraces strong values in protecting its land, waterways, and of course, skin. How many personal-care products do you use every day? 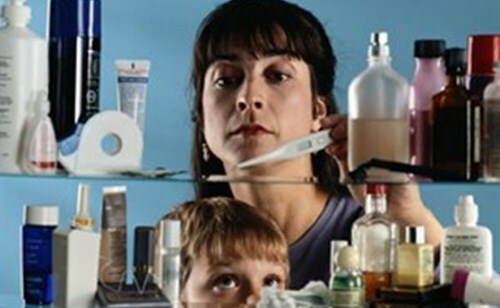 Did you know that many personal care products contain plastic? New warnings are out about the health risks of a somewhat mysterious substance called “phthalates” found in plastics. Do the personal care products you use contain phthalates? Probably. You might never know because often phthalates are swept under the label ‘fragrants’ (or ‘fragrance’) and therefore do not have to be listed on the containers. Look on the ingredients lists of your favorite products for these phthalates, which, if listed at all, may be indicated with an abbreviation. The three most commonly used in personal care products are: DBP (di-n-butyl phthalate), DEP (diethyl phthalate), and BzBP (benzylbutyl phthalate). Can you say “phthalates?” It’s a tricky word (pronounced tha-layts) that has become the subject of intensive lobbying activities and major research studies. Why? Because phthalates have been linked in recent studies to childhood obesity and Type 2 diabetes, especially in older women. Scientists now place phthalates in a class of chemicals termed “endocrine disruptors” – because they have been shown to affect the endocrine hormonal system of the human body. They actually mimic hormones; as a result, there is potential for neurological and reproductive damage. Researchers found that adult women have higher levels of phthalate metabolites than men do, probably because they use more cosmetics and other skin and hair care products. Recent studies have also demonstrated possible connections between plastic toys and childhood obesity – and now toy manufacturers are rushing to remove phthalate plastics from the market. We live in a chemical world – see the new September 2012 updates to the U.S. Centers for Disease Control’s (CDC) National Report on Human Exposure to Environmental Chemicals (2009). Yes, this is scary stuff. Our air, water, and food are all loaded with chemicals – an environment that our ancestors never experienced. Leading environmentalists Rick Smith and Bruce Lourie described the effects of their self-tests in their startling book, Slow Death By Rubber Duck (2011). It’s now almost ‘old hat’ to say that we live our 21st Century lives very differently than people did in the past. We plunge our hands into detergents to wash dishes and clothes. We add fabric softeners to the wash water; spray aerosol fragrances into the air; hold objects near our heads that emit rays (mobile phones) or sleep up close to machinery that emit measurable radiation (TVs). We walk under wires or live near huge towers that any good electrician could tell you send out huge waves of energy. What are we doing to our bodies? It’s a question I find myself asking daily. As I continue to research for this blog and my own interest, I am increasingly grateful for companies like Paul Penders International that takes an environmentally conscious stand and uses only high quality organically grown herbs in their formulas. Given the choice between coating yourself in plastic and washing in tropical herbs and flowers, which would you choose?